Acne reduces our self-esteem and hinders out ability to go out as much as we would like to. Nobody likes having acne on their skin and treatments that work in short amount of time are sought after often. Some acne treatments work well, while others don’t. If they do, acne can leave a lot of visible scars on the faces, which are just as bad. There are all kinds of medications and topical creams available to get rid of acne scars. But, in this article, we are going to take the natural route. Here, we are presenting some of the best home remedies of treating acne scars effectively. Before we begin, let’s first look at what acne is and what causes scarring of facial skin tissue. Acne, also known as Acne vulgaris, is a disease of the skin that involves oil glands. Oil glands, also referred to as sebaceous glands, are stimulated during puberty. During this time, adrenal glands of both males and females produce hormones that stimulate these oil glands. Under our skin, small canals connect oil glands to our skin pores. Sebum produced by the sebaceous glands travels from the gland to the skin surface via the follicle. In the process, it carries dead skin cells to the surface. When the canal (follicle) is blocked, sebum starts to accumulate underneath, and triggers pimples growth. Blackheads – as the name suggests, they are black in appearance. They are visible on the surface of your skin. Also, their black appearance is not due to the accumulation of dirt or anything. So, rubbing or scrubbing your face vigorously won’t help much. Papules – Small bumps that are usually pink in color and are visible on skin. Pustules – They appear red, have puss at the top, and are quite visible on skin. Nobules – Large, solid, painful, and are deep in your skin as well as visible at the surface. Cysts – Visible on the surface, painful and filled with puss. These are the ones responsible for major scarring of the skin. If you have visible acne scars, chances are high that you had cystic acne. Scars result whenever the dermis region of your skin is damaged or wounded. Nobody likes scars, but they are a normal part of our tissue healing process. Papule, pustules and cysts cause skin inflammation and can lead to scarring of the dermis tissue. The follicle of your skin, which is responsible for secreting excessive sebum and dead cells to the surface, becomes blocked. Secreted sebum and bacteria accumulate inside and follicle ruptures. Rupture causes the damage of surrounding dermis tissue which causes scarring. Another thing that causes acne scars is when you start picking, popping or squeezing your pimples. I’m sure we have all heard not to pop those pimples. When you pop them, you basically create a “hole” in the skin, which allows bacteria from the outside to get in. once the bacteria are in, they cause infections and more importantly, affect collage production. Collagen is an important fiber that is needed to heal the wound properly. When it comes to treating acne scars, you have a lot of options; prescription medicines, skin lightning products, laser treatments, filler treatments, and natural remedies are the common ones. Laser and filler treatments are expensive while prescription medicines have side effects. Many people used skin lightning products in the past, some still do, and it is not recommended. Recent studies have found them to be good carcinogenic (cancer causing), and you should avoid them. Best acne scar treatment for you is the one that fits our budget and curs your tissue scars. Fortunately, we have a lot of good home remedies that you can try before spending ton of money on other treatments. Plus, home remedies for acne scars on face are safe and easy to apply. Listed below are some of the natural remedies for acne scars that have worked quite well for people in the past. There’s a good chance that you will get rid of acne scars if you follow these. Getting rid of acne scars takes time and patience is required. Removing acne scars using home remedies is a two step process. First you have to reduce inflammation (if present) and then you have to remove scars. Get a leaf of this plant; remove the outer layer to get the gel from the center. Apply the gel on your face twice everyday; once in the morning and once at night. Leave it on for 30 minutes and then wash away with water. You should see reduction in inflammation within a week. The gel obtained from the aloe vera plant leaf is more potent. But, if you don’t have access to it, you can buy the aloe vera gel from store and use that. Get a fresh cucumber, and cut a couple of slices. Put the slice son acne spots. Leave it there for 30 minutes and then rinse your face with water. Do this once daily and you will notice considerable reduction in redness. Get some coconut oil and warm it in your hands. Apply it directly onto the scars and leave it there for at least an hour. It will prevent the water from evaporating away and will keep your skin moisturized for long time. Cut a tomato in small pieces. Use a blender to blend it and make a thick paste. Apply it on your face, especially on acne scars and leave it on for one hour. After one hour, rinse it off with water and water only. Add 1 tablespoon of fenugreek seeds in one cup of water. Once it cools, filter out the seeds from the water. Apply the solution to acne scars and don’t wash off. Now that we have the inflammation under control, it’s time to remove the acne scars. Use the home remedies for acne marks shown below. These are the natural remedies for acne scars that work. I hope you find them useful. Sugar paste – removes dead skin cells. Mix 1 tablespoon of granulated sugar with 1 table spoon of water. Mix well until you have paste. Apply it on areas affected by acne, and scrub it in circular motion. Leave it on for 5 minutes and then wash it all off with water (lukewarm water works best). Oatmeal – removes dead cells and soothes skin. Get 2 tablespoons of water and 2 tablespoons of oatmeal. Mix them up together to form a paste. Apply it on affected areas for about 5 minutes and then wash it off with lukewarm water. Lemon – antibacterial, contains vitamin C, induces collagen production. Squeeze a lemon and collect the juice. Apply it on acne scars and leave it on for an hour (leaving it on overnight is the best). Wash it off with normal water (not too hot, not too cold). If you have sensitive skin, dilute lemon juice in equal proportions with water. When you apply the lemon juice, don’t go out in the sun as it will darken the area with lemon juice on it. Lemon Plus – More effective than the remedy listed above. Get: 1 tablespoon of honey, 1 tablespoon of almond oil, 2 tablespoons of milk, and 1 tablespoon of lemon juice. Blend these well, apply on affected areas, and leave it on for an hour before washing away with water. Apple Cider Vinegar – antiseptic and abrasive; removes old cells and heals scars. Mix equal proportions of apple cider vinegar and water. Leave it on for an hour before you wash it off with water. Note: Don’t apply vinegar on scars directly, especially if you have sensitive skin. It can cause irritation and worsen the condition of scars. Baking Soda –removes dead cells from the surface. Get 1 tablespoon of baking soda and 1 tablespoon of water. Mix them well to make a thick paste. If it’s runny, add more baking soda. Apply it on scars, leave it for 3 minutes and wash it away with water. Don’t do this more than 2 times per day. Rose water and sandal wood – antimicrobial and anti-inflammatory. Properly mix sandal wood and rose water in equal proportions. Apply this paste on your scars and leave it overnight. Wash it with cool water next morning. Olive oil – anti-oxidant that removes scars quite well. Apply olive oil onto scars and leave it for 2-3 hours. After 2-3 hours, take it off with a glycerin based face wash.
Do this daily to see improvements. Egg white and Lemon Juice – keeps skin protected from toxic substances. Apply it directly on your scars and leave it overnight for best results. Rinse it off with cool water the next day. Mint – a good antioxidant and acne scar remover. Get a bunch of mint leaves and blend them well to make a thick paste. Add water to the blender if necessary. Apply it directly on acne scars and leave it overnight for best results (if you can’t leave it overnight, then keep it on for at least an hour). This remedy to diminish acne scars takes time; therefore, it’s better to apply it daily. Now you have more than enough tried and tested home remedies for acne scars. 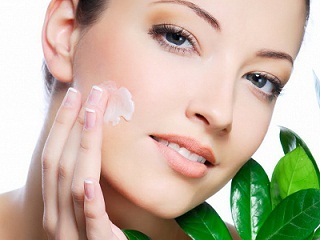 It’s important to know that acne scars take time to go away; therefore, patience is the key while using home remedies. Since there are no side-effects, these home remedies for acne scars are a good alternative option before you use expensive drugs. I hope you found the remedies listed here helpful in removing your acne scars. Thank you for your time.